*Disclaimer: I received a $20 off coupon for use at Shutterfly.com from Shutterfly as a Stonyfield YoGetter (Blogger). All opinions and experiences are my own. I blinked and somehow the holidays are right around the corner. How did that even happen? People always tell me that once you have kids time flies. It is so true. This fall has passed in a flash. Somehow we’ve gone from the first day of school with a new Kindergartner and second grader to having a new reader and a second grade girl who is voraciously devouring chapter books. Somewhere between summer and now the leaves have flown and Halloween costumes are tossed to the side. What remains in the Halloween candy bucket are wrappers and the candies that have been deemed to be not worthy. Now the daily discussions in the backseat of the car have turned to “what will Santa bring?” and, “Mommy, is it winter now? I want to build my first snowman. I guess its time to start preparing for the holidays and this year Shutterfly and Stonyfield are gifting you a little something to help you out! Our friends at Stonyfield have teamed up with Shutterfly, to offer you something special to help you with your holiday gift giving. 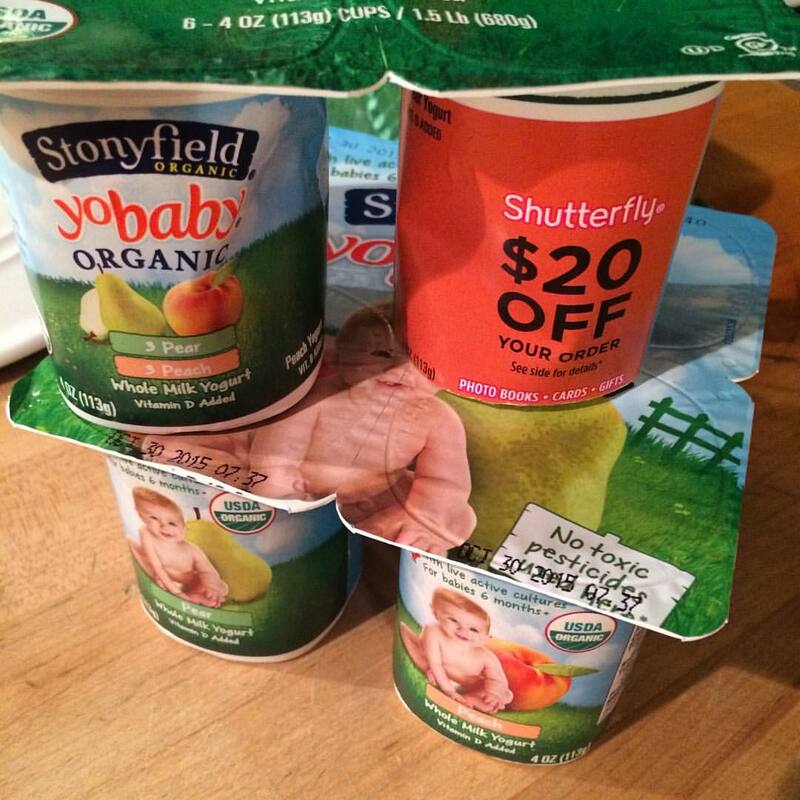 Now in stores- when you purchase a YoBaby or YoTots 6 pack you will receive a free Shutterfly code for $20 off a $20 purchase at Shutterfly.com. Simply enter the code on the package and the discount will be stored in your Shutterfly account. Find all the details here. Offer ends February 29, 2016. One offer per household. 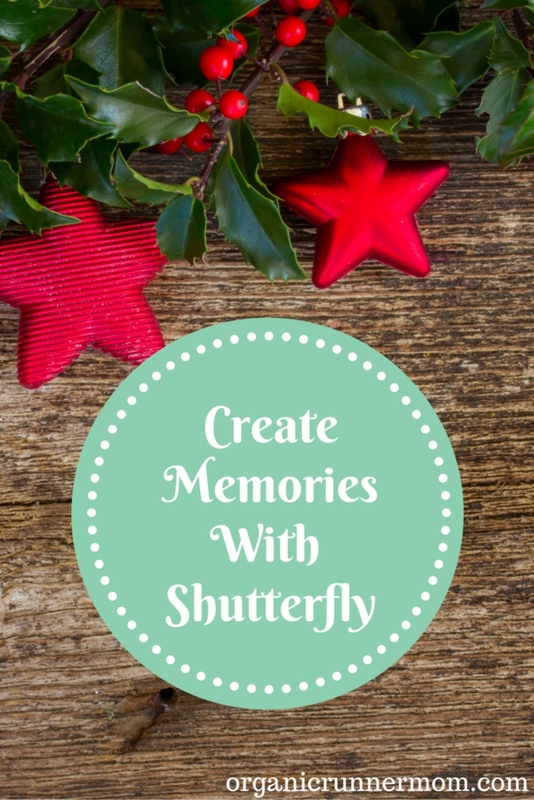 #Ad @Stonyfield and @shutterfly and a great offer to help you with your #holiday photos! As a mom (and blogger) I take a “zillion” photos. They are all stored in my iCloud just waiting to be made into a wonderful photo gift such as a photo gift or wall art. My kids are the perfect subjects for many of my photos. They love to pose, and smile and giggle for the camera. I live with a bunch of hams. I love the way that you can capture there spirit in a photograph and get an instant keepsake to remember a moment to keep a piece of each day as time marches forward. Shutterfly has so many perfect ways to display your photos, collages, photobooks and even quilt and pillow keepsakes. I decided to make some wall art with some of my favorite photos from the summer that capture my children’s delight as they play in the summer sunshine. I created a 3 panel 18X5 Happy Sentiments Mini Panel Print on metal with the words “Live, Laugh, Love” Overlaying the panels. I am so excited to share this with my husband and to hang these panels on the walls of our home. I used my $20 coupon codes towards the purchase of these panels and cannot wait for them to arrive! Be sure not to miss out on this great gift from Shutterfly.com especially since it is almost time to order those Holiday cards . . . Yikes! I had better get on that! What photo gifts would you like to give to your family this holiday? I take so many pictures and always forget to make them into albums. thanks for the reminder! I need to be better about doing something with my photos. If only I could find about 10 hours extra in every single day.